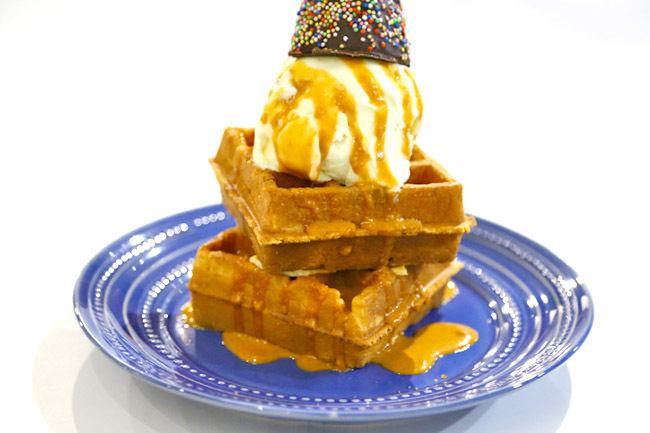 New waffles specialty shop Kaffles opens for only one time a week on Saturdays, 7 hours each time from 6pm to 1am. The team is not trying to do a secretive Whale-and-Cloud, but exploring the option of co-sharing spaces in rental-high Singapore. The name Kaffles comes from a combination of the owners’ names Kenny and Kimberley with waffles. Both have some F&B experience – Kimberly the owner of now-closed Mean Bean & Wicked Grind, and Kenny the owner-operator of a small catering business. 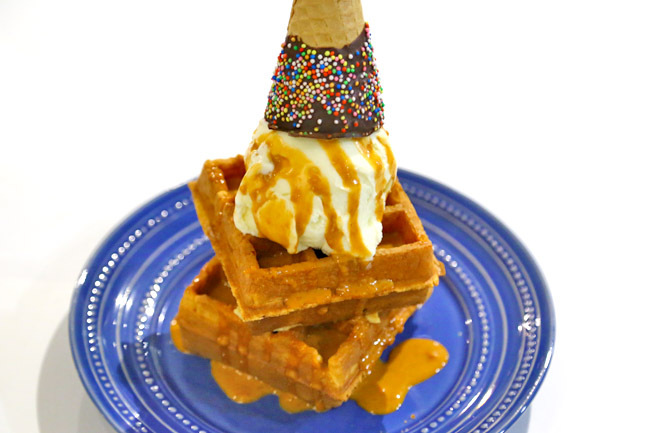 The dessert contains two waffles at the bottom (looking similar to Creamier), topped with an inverted ice cream cone, then drizzled with sauce. People should find this reasonably photogenic or instagrammable (soon going to be a bad word). I liked the Speculoos Cookie Crunch ($11.90), the buttermilk waffle was soft and still cakey, though I thought the outer layer could be crispier. The cookie crunch and chocolate-dipped cone added a variant of bite. While The Thai Milk Tea Kaffles ($12.90) looked like it was the most popular flavor, I thought the Thai-tea element could have been more pronounced, and the use of vanilla bean ice cream didn’t gel that well overall. It was sweet-base and sweet-top. 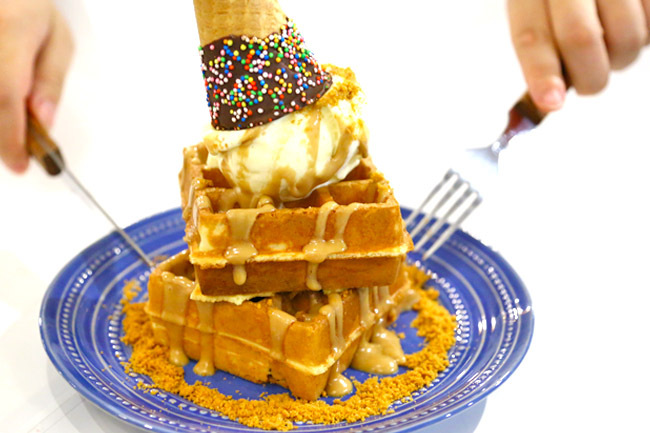 Could have been more playful with the choice of ingredients, because a waffles shop is almost a dime in a dozen in Singapore. The benefit of co-sharing spaces is that you can test-run your processes and products, without the additional burden of managing operations, manpower and logistics. 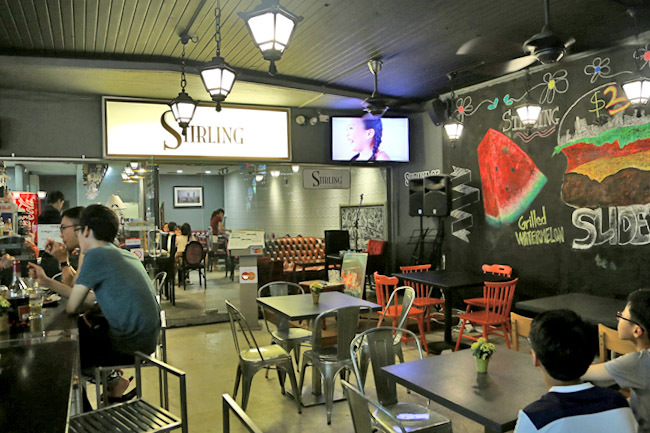 But other practical factors come into place: It IS a Saturday night when the bistro would get crowded, labour on the tight side. If the main operator is also offering desserts (churros in this case), then most sides must reach a common understanding that in the end, customers come first, and they should always work together for a win-win.